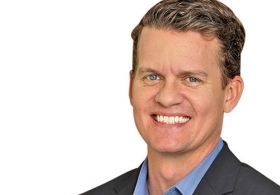 It has been exactly two decades since Crain Communications, publisher of Automotive News Canada, expanded its brand of English-language automotive journalism and planted a flag in a new part of the world. On Feb. 6, 1996, in London, England's Hatton Garden district — the city's jewelry district and the center of the UK diamond trade — Automotive News Europe was born. Founding Editor Rick Johnson remembers the mission being simple, yet focused: Automotive News Europe's aim was to the serve the European reader from a European perspective. Twenty years later, as we launch Automotive News Canada, the goal is the same and the timing could not be better. We are expanding again for good reason. The Canadian market is enjoying record annual sales. Car dealers have realized a surge in profitability. And suppliers are navigating a rapid production expansion. But Canada's auto industry is not without its challenges; some of them significant. The manufacturing sector has been gutted by the shift of production to lower-wage markets in the U.S. south and Mexico.The government is entering a new agreement with trade partners in Asia that might recalibrate the trade balance in Canada. And increasing levels of emissions regulations and government regulation are challenging the overall affordability of vehicles. Automotive News Canada is here to write about all of it, from all angles. This is a fascinating market — one that looks much more like Europe than America — filled with interesting stories and dynamic players. And because of that, and because of the unique stories in Canada, we feel it is time for a publication that will tell Canadian stories. In a market where the price of fuel varies so dramatically from the neighbors to the south, and where those manufacturing and salary challenges are changing the landscape of production in the country (to name just two significant differences), we will tell uniquely Canadian stories. 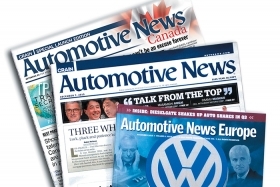 Like the launch of Automotive News Europe, our commitment to Canada is significant. We are launching this issue during the nation's largest auto show to demonstrate that pledge and preview what's to come. When news happens, we will strive to be the first to report about it. We will interview Canada's top executives. We will write about the issues that matter. Mostly, though, Automotive News Canada will do what Automotive News has done so well over the past 91 years: making readers our first priority. We look forward to the connection we will make with the Canadian industry, its manufacturers, suppliers and dealers. Mostly, we look forward to being the industry's biggest critic and its best friend. A new flag is planted yet again today; a new door for Automotive News has opened. We hope you enjoy the adventure.